Boy in Vermont reels in a record-setting carp. 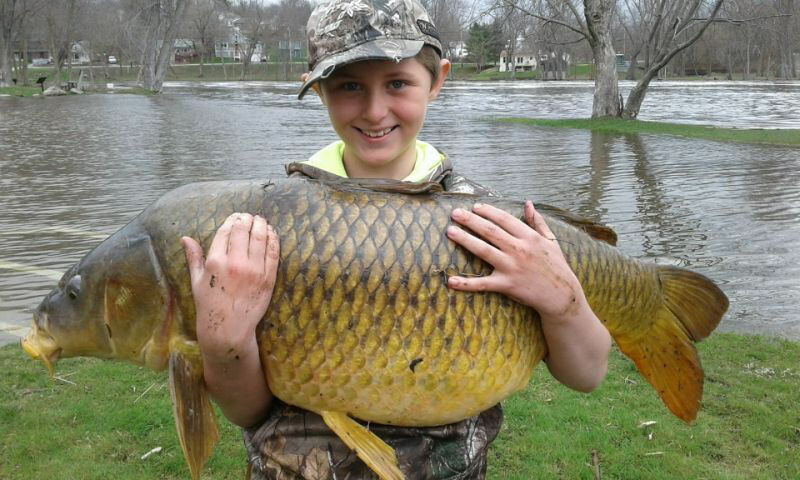 A 10-year-old who reeled in a giant carp says he knew it was a record contender before he ever got it ashore. The Rutland Herald reports the carp was weighed at a bait and tackle shop in New York in April. The Vermont Fish & Wildlife Department made the record official last month. The fish was a quarter-pound bigger than the previous record holder.